Experience the great sawing performance of the Bigboy! 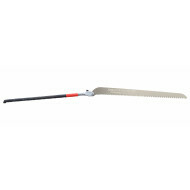 With its strong 360 mm blade you can make long strokes to cut thick trunks in no-time. 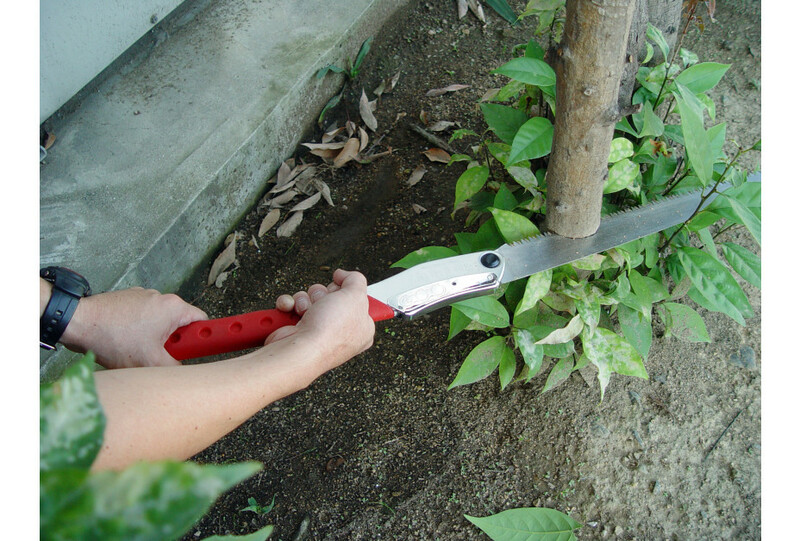 The straight blade is easy to handle in densely grown spaces and on flat surfaces. The Bigboy is compact and lightweight. 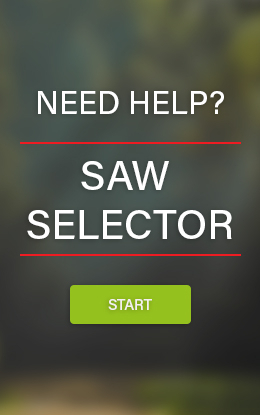 You can comfortably take this saw with you in your backpack. 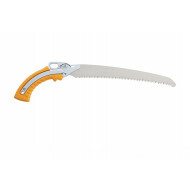 On places where the use of a chainsaw is forbidden or discouraged, this fast handsaw offers a great alternative. You even work safer and environmentally friendlier. 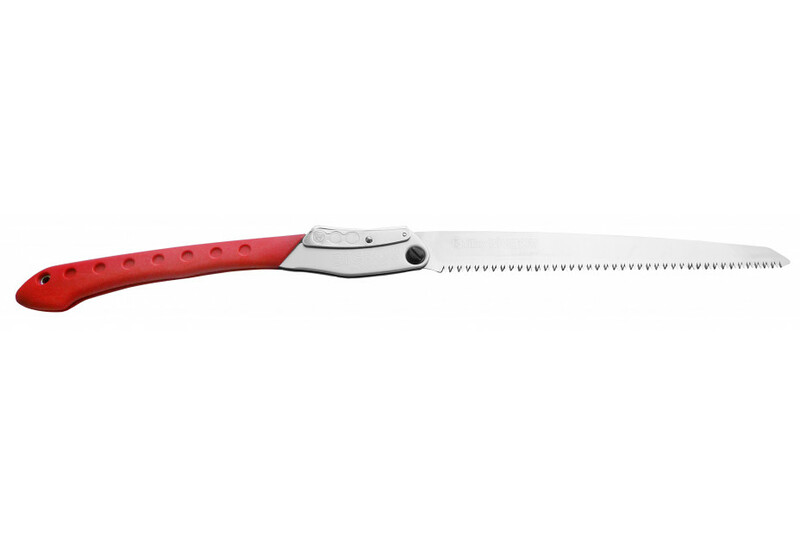 The blade can simply be folded and unfolded by means of the locking button and has two different sawing positions. The rubber handle of the Bigboy ensures a safe and comfortable grip and is big enough to use with two hands. The hole in the handle offers the possibility to attach a carabiner or rope to the saw.